Porvair is continuously seeking new ways to solve flow control and filtration requirements for its customers and is pleased to announce the launch of the new Restrictive Flow Products (RFPs) product line for OEM and custom applications, with flow rates from 0.1sccm to 1.0scfm. 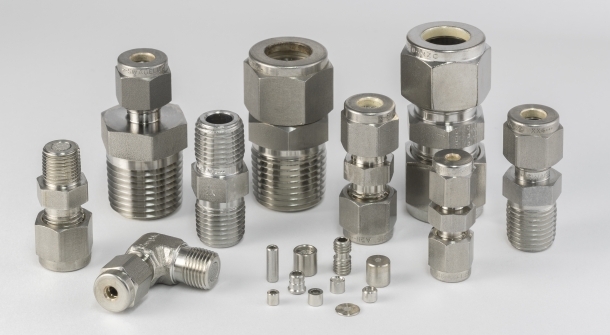 RFPs are a gas and liquid flow control device with high accuracy, incorporating multiple pathways using sintered porous metal in standard and custom hardware configurations. They are suitable for the Analytical Instrumentation, Oil & Gas, Chromatography, Microelectronics, Food & Beverage and Environmental Control sectors. This new product eliminates costly mass flow controllers (MFCs), capillary tubes and precision needle control valves, showing a huge benefit to the industry. A few of the top benefits of this product also includes a simple design for easy installation, multiple flow pathways to resist fouling and high accuracy. Individually calibrated to specific gas, flow rate and tolerance, using our proprietary manufacturing process ensures quality and repeatability from lot to lot. Flow data is provided with each lot, and an achievement of ultra-low flow rates down to 0.1sccm. To download the full RFP Brochure, please click here. If you would like to read more about Porvair’s global capabilities, take a look at our history page.